You know one of the delights of vacationing for me and my husband is in eating local food. And we like most cuisines, so it is hardly a challenge for us to try something new except that we don’t eat many kinds of meats. So this time, when we planned a trip to North India, Punjabi food and North Indian cuisine was high on our priority list. Amritsari kulche, Dal makhani, Pindi Chane, Rajma, aloo gobhi, lassi and chat were on our must-eat list. I had told myself that I will not crib about street food and will keep my eyes closed to the filth that normally surrounds these roadside stalls. First stop was Delhi. And this time I wanted to visit the famed Chandni Chowk especially Parathewali Gali that has so much history associated with it. Though I was prepared for it, the heat, dust and filth completely threw me off. I tried my best to shut my eyes to the smelly gutters right next to the tiny shops each one churning out deep-fried parathas at frightening frequency. The place was congested and crowded. We joined the queue awaiting our turn. The kids had a hard time understanding how we were going to eat there. But we had to ask them to make do this one time. Finally our turn came and out came the thalis with an assortment of curries, chutney and pickle. The parathas were okay in taste but who eats deep-fried parathas? I am used to parathas roasted on tawa. While I was eating, I saw a foreigner of Asian origin attacking the parathas with gusto. I felt like rushing and falling at his feet. How was he going to counter the ensuing diarrhea was a question at the top of my mind while I worried about my own tummy and prayed to all possible Gods to keep me healthy, as it was the start of my vacation. We rounded off the meal with lassi which tasted refreshing in the heat. Now, we headed out to a dahi bhalle stall (dahi vade as I call them). The dahi bhallas were again decent in taste. The dahi having a tinge of sourness that I disliked. But the tikki chat that we had next was completely delicious. This was the hole-in-the-wall place that was churning these delicacies. We had to stand on the narrow road with milling crowds and traffic all around. My younger son was regularly getting pushed around and was ready to use his Ninja maneuvers on the offenders, but the offenders were too quick for him. Stuffed to the gills, we had no space left in the tummy to try out hot jalebis or the other chaat fare on offer. We did, however, manage to pick up dry ber as well as mulberries that I had after a really long time. All these are favorites from my childhood. By the time we decided to head back it was early evening. After this tryst with street food, we settled for some fantastic Punjabi food in an upscale restaurant in Connaught Place next day with a bunch of friends. This was the first time I was meeting my good friends from the blogworld — Rickie, Ruchira, Alka, Amit, Ashima, Ritu, Naina, Sangeeta, Kajal and Sakshi, and it felt like I had always known them! We created quite a ruckus in the place and spent a really fun afternoon. Yes, we were going all out tasting the delicious Punjabi-Dilli cuisine. Oh yes, we had the famed meetha paan as well. The kids confirmed a few times to ensure that we were not going to eat on the streets again. Alas, my reputation for clean, hygienic food had taken a beating in their eyes. Bidding goodbye to Delhi, our next stop was the city of Agra, the land of Taj Mahal and the place of my birth. I was going back after a good 3 decades. Originally from UP, I looked forward to connecting with the tastes of my childhood. That will come up in the next post. You have never been to Delhi, wow! You must visit all these places for they hold different delights for different people. I am not much of a roadside eater though while in college in Mumbai, the roadside vada pav was my staple diet :-D. But as time goes by, my tastes have gotten fussy. Yet, I did indulge in some more streetside food on this trip in subsequent cities. I really do wish that they could make things a tad bit cleaner. Thank you for reading and enjoying the post, Sid! Glad that your stomach survived Parathewali Gali! Haye, gussa mat ho. Lo, sabke naam daal diye 😀 aur thoda praise bhi kar diya. Abhi khush :-P? Even a gun to my head will not take me anywhere close to Parathewali Gali ever again. Sid, Chennai? Wow. Where and when? Is it really that bad. I will skip street food then whenever I do visit Delhi. Parathewali gali disappointed me. But you must visit to find out for yourself. Seeing the long queues, it is a very popular destination. Not all roadside joints are bad so I guess one needs to take an individual call. I knew that I should have left some place for the jalebis ;-)! But I enjoyed my visit to the Red Fort and the rickshaw ride as well. Ohh All I can think about after reading this is how much I miss eating out in India…Thank God I’m coming back soon…It’s so boring to eat out here! hahaha I agree. What I miss the most outside India is the food. Looking forward to having you back, Naba. Remembered my trip to Parantheywaali galli. True that very oily fare. 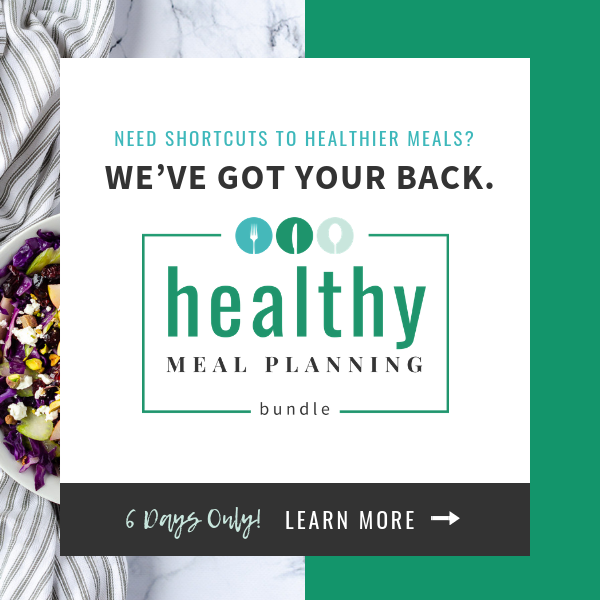 But yummy & better to eat in moderation! Yep, I don’t mind the oily fare. Only the dirt put me off. I doubt if I will go to Paratheywali gali ever again :D.
Oh I completely agree about Paranthewali Galli, its a dampener frankly.. deep fried paranthas were a big disappointment and I know what you mean about the gutters, I was in for a shock when I went there but then the fame of the place made me stay put and try the food. I doubt I’ll ever go there again. Chalo at least you agree with me. Seriously, deep fried parathas. They reminded me of kachoris. I doubt if I will go again. Yes, the chaat in Delhi in fabulous. Aloo tikki was just yummy :D.
Chaat is very good in Delhi. And of course, you must ignore the filth :D.
Me too no fan of deep-fried paranthas. I do love dahi bhalle , but aloo tikkis with anaar and sev on top was a no-no for me.I love my chhole tikkis. One roadside item we loved was sweet potato (shakarkand) chaat we used to get in Lajpat Nagar market. Next time you go there, visit Pandara Road. Amazing restaurants and you will get loads of variety from Indian to Oriental to Kulfi faluda. Priya, suggestion noted! Next time Pandara Road it will be! I love street food…closing my eyes…on my first and last trip North, (which was a good 9 yrs back) I thoroughly enjoyed the food..in Kulu Manali..they have this punjab ki rasoi or something like that..they had the best makki ki roti and sarson kaa saag….can’t forget that taste….now, you made me long for Indian street food..
You know I was looking forward to sarson ka saag and makki di roti but since the season was up, we couldn’t try that. The food up North is just too yummy I tell you. I miss the street food of Bangalore/Mysore and I still think it rocks!! Nice reading about your experience Rachna! I feel like eating hot hot jalebis now! Looking forward to reading about your Agra tryst. I think you must. It is almost of historical significance now, Pixie :). Yep, my tolerance levels are low, but my stomach held up luckily. I feel bad that I missed jalebis. Thanks for reading! Interesting expereince. Not eating meat at all or not eating certain types of meat are a serious constraint in sampling local cuisine, especially outside Indian. Luckily I have had the time of my life when I was free from any constraints and had my adventures with local food and drinks. Now with meat and alcohol out of bounds to me, I need to seek other vistas. And yes, Punjab is indeed a delightful place for food. My mouth still waters when I think of the Parathas I have had at Bathinda and Hissar. That is true, Karthik, but at least in India one gets a lot of variety in veggie fare. I actually do not miss not eating beef, pork and mutton frankly. Punjab is a foodie paradise. The food is awesome, so is the language and people. I just love it every time I visit. Chat, ras malai are really yummy. I think you get the best chat in the North. Yes, you have great choices in Bangalore these days but chaat does taste special in the North. Jokes apart, Paranthe walli Galli has lost a lot of its charm now. And like you, I really dont enjoy my food in the heat and dust when I am being pushed and jostled. Meeting friends was the highlight of going to Delhi, Ruch! And the food was just fantastic, so clean too :D. Yes, I agree. I don’t have the stomach for the heat and dust of roadside food literally. I would rather make do without the added ingredients and smells :). I am afood lover but I must admit that I just cannot eat everywhere even if the place is hyped and all. But when in the mood, I don’t mind trying out anything. Keeping our health in mind, we don’t much try street food. Yep, the same applies to me though I did make a few exceptions on this trip, Susan! I prefer not eating any street food at all in Bangalore. When eating out, street food or otherwise, in any new place, I ask like-minded friends or acquaintances to recommend places that they’ve been to themselves. I’ve found this helps to avoid unpleasant surprises. And strangely there were friends who like the food in Parathewale Gali. I guess I don’t have the stomach for dirty street food anymore. But many in India dig it. I do agree with your point about asking locals. It does help. Until a few years back, I didn’t mind eating in clean eatrirs on the road. Not Now! I know that they have got their own taste, but…. The food is yummm yummm in north especially the street food. 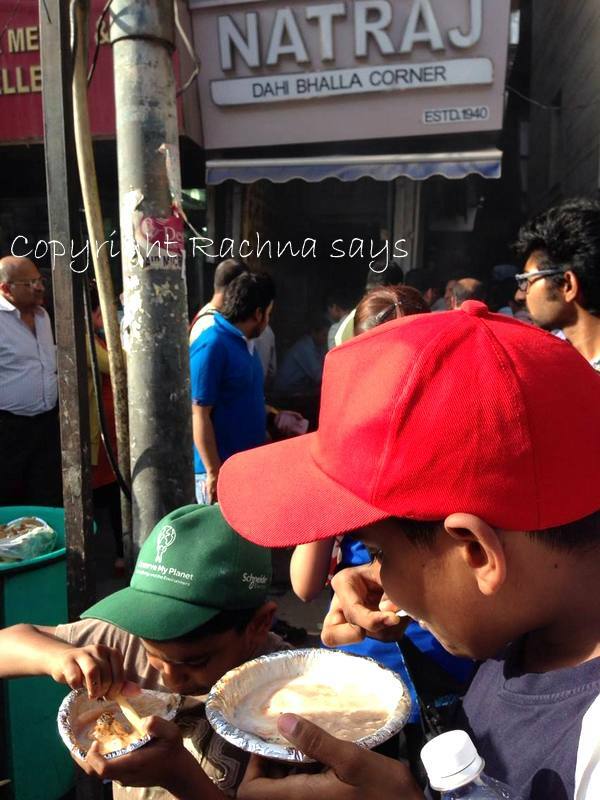 I am yet to visit parathewali gali but really deep fried parathas? 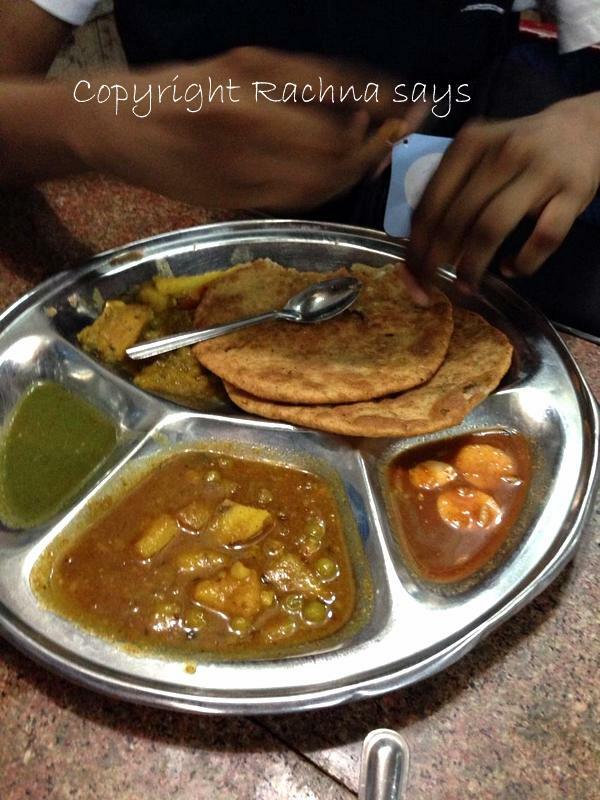 Did you try amritsari kulchas in amritsar? They are delicious. Yes, the food is really yummy up North. Oh yes, I did try Amritsari kulchas, they were amazing :). Amritsar deserves another post. 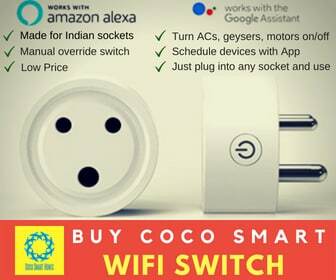 Hi Rachna, I loved this post. We r on a holiday in japan and my husband can’t stop trying diff kinds of street foods. I am the opposite going only for the tried and tested. Your food photos looked quite yummy. Hope you were fine after eating all the street food there. Wow, I would love to holiday in Japan too, Mehroo :D. Same with us. Hubby wants to eat all kinds of street foods while I go looking for cleanliness and hygiene. Thank heavens, my tummy stayed fine. My son did have diarrhea later though. Thank you for reading on your holiday. Look forward to Japanese tales once you are back. Have a great vacation. We went to Chandni Chowk too, in the hopes of roaming around and eating and shopping leisurely. What a shock we had!! ‘Leisure’ is one word that you definitely cannot associate with the place! Finally we had to make do with just a rickshaw ride through the streets, especially with a fussy five year old in tow :). I like the pic of your boys enjoying their dahi bhallas – looks like they really had fun!! Yes, I liked the rickshaw ride too especially the kids who have never sat in a rickshaw before :). Yes, they quite liked the dahi bhallas though the dustbin was just behind them and people rushing past were pushing them around. Chandni Chowk defines chaos :). 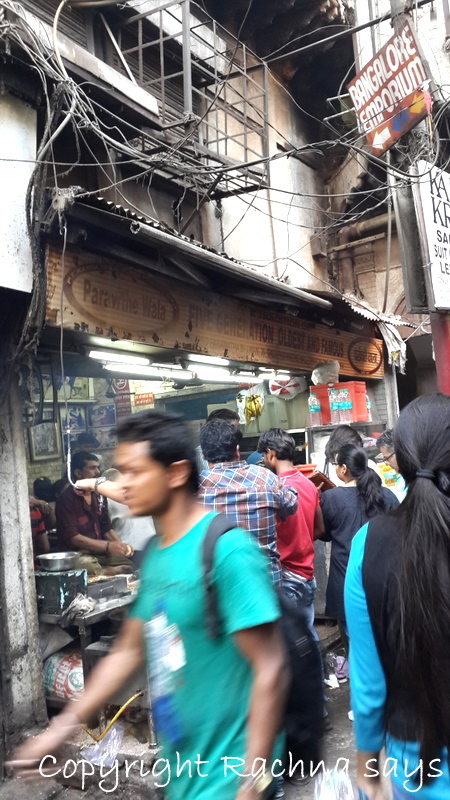 Don’t tell me I didn’t warn you about parathewali gali! I had gone there nearly 2 decades ago and still found it awful — I mean the filth and the oily parathas. Not all street food in Delhi is bad. The bhalle papdi chat at Pandara Road for one? Awesome is an understatement. I wish you had warned me. And I do wish that someone had told me about Pandara Road earlier. Next time for sure, in Delhi I am going there. Always a pleasure to have you here, Zephyr! LOL Parathewali Gali was really dirty. In general, I am a prude around dirty eateries :-p.